I have never really been someone to wear a lot of concealer, a little while ago I thought I would give the Collection 2000 one ago again and then I quickly remembered why I had stopped using it! Love the product cannot stand the packaging, mine always seems to leak everywhere and I can't stand mess. The other week I go caught shirt because I had a mammoth spot and had a big meeting so I ran to Boots and the only (cruelty free) concealer I could find was Barry M Flawless Concealer. They only had about 4 different shades with this concealer and I was very lucky to see that my shade was in stock! To be honest I didn't really know much about it other that was written on the bottle which states that it is light reflecting - not exactly what I wanted but I thought it would do the job. Upon researching it's actually a lightweight concealer which has been infused with cucumber and aloe to soothe and it's great for under eyes...yeah...not for spots so now it kind of makes sense. 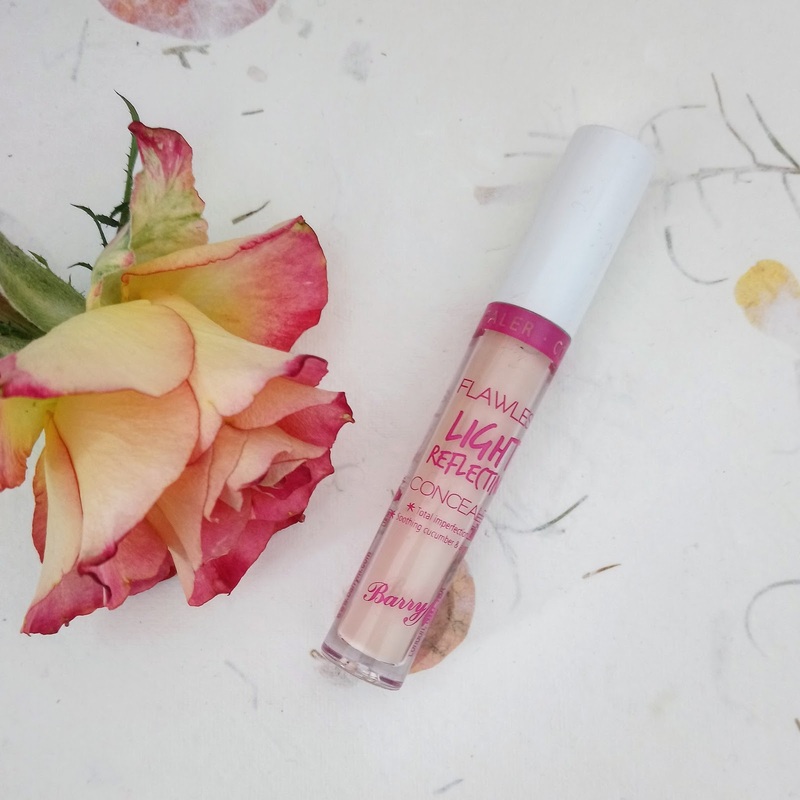 I though the colour match was good for me and it's a very easy product to work with but I have to admit it isn't great for covering spots, you have to keep building up and blending out to try and get a higher coverage. 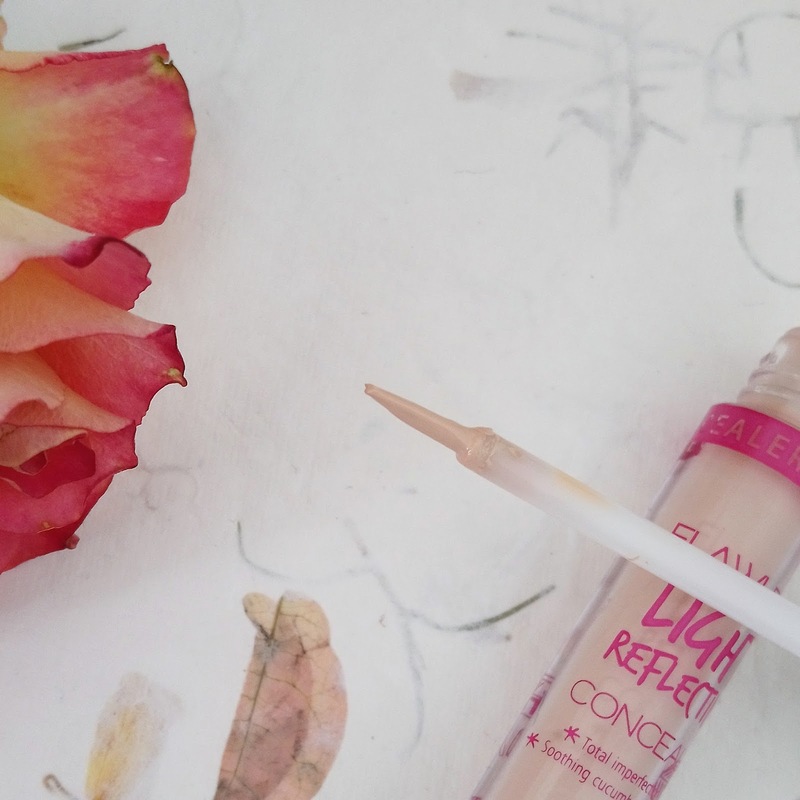 The wand of the Flawless Concealer is so underwhelming and I would go as far to say that it is completely useless! I can get on board with brush wands for concealers but this one is so thin I struggled to apply the product to the areas I needed to. I even used the product for it's real purpose which is under the eyes and I just couldn't get enough product on the wand to get it under my eyes. When I eventually did manage to get some on my skin, I did really like it! It blends out easily and it does have a light reflecting quality about it, but it's worth noting that I don't have very dark circles under my eyes. The Flawless Concealer, is a very lightweight concealer and it's gonna struggle to cover any huge spots but if you are looking for something that brings a bit of light into your face and that isn't too cakey then this little fellow might be for you! Shame it did not work out for you. Personally, I love the Collection concealer. I`m also a big fan of Maybelline and Rimmel concealers (sadly not cruelty-free). I recently got the UD Naked Skin concealer and it was such a waste of money.